Posted on May 1, 2017 at 12:00 pm. Method acting is all about performing a role with depth and total believability. When you begin using The Method, it won’t be long before you start to understand what it really means to ‘become’ the character you’re playing. There are a few things that can stand in the way of an actor reaching their full potential. These are all issues that can, however, be overcome with the right training. One element that is central to this is relaxation techniques for method actors. These can be self-taught and practiced at home as often as necessary. 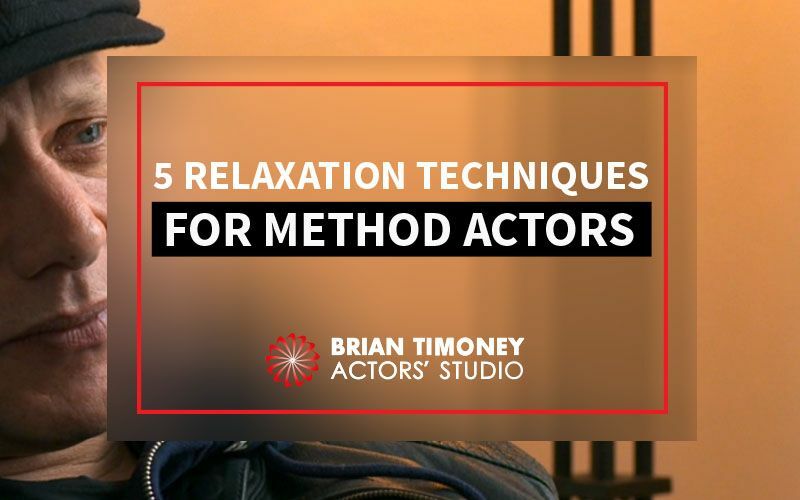 Knowing how to implement different relaxation techniques can be particularly helpful for method actors in combatting their nerves – one of the most common acting weaknesses. Nerves come in many different forms and can affect performers in a number of ways. The first thing that springs to mind for most people when they think of ‘acting nerves’ is stage fright; the sort that causes you to stumble over your lines in the audition room or get the shakes on opening night. This is a very real and common issue for many actors, but don’t make the mistake of thinking that if you’re not struck by fear before a performance, nerves and stress aren’t affecting your acting in other ways. Lee Strasberg, the legendary acting coach who is often referred to as ‘the father of method acting’, described tension as the “occupational disease of the actor” and one of the main factors for holding a performance back. He believed that relaxation is essential for any performance and even developed his own relaxation techniques for method actors to help them open up and put their mind into a neutral state. He found that this helped them to get into the mindset of an entirely different person. Method actors in all stages of their career, from beginners to Oscar-winning icons like Jack Nicholson, practice relaxation when getting into character. Of course, everyone is different, so certain techniques work better on some than others. Here are five of the most common ways to unwind – try them out and see which one works best for you. Where better to start than with the founder of method acting himself, Lee Strasberg? This is the most widely practiced relaxation technique for method actors in all stages of their careers. Acting icons like Robert De Niro and Meryl Streep are fans of this technique which has been a firm favourite with many actors for decades. Begin by finding a comfortable chair and taking a seat. Sit with you arms and legs hanging loosely down the sides of your body. Move your foot in a circle, and then shake it off until there is absolutely no tension left in your muscles. Repeat this in the opposite leg and then in each arm. Once your limbs are as limp as can be, release the muscles in your face and neck until your jaw goes slack. Finally, let out a humming or grunting noise from deep inside your throat. Do this exercise for around 20 minutes and you’ll find your mind and body are in a state of total relaxation. Strasberg developed this technique to help actors identify and loosen up muscles they didn’t even know they had. Anyone who has ever had to overcome any sort of anxiety will have been told to ‘just breathe’. This might sound ridiculously simple but you’d be amazed at how much of a difference deliberate and controlled breathing can make to your state of mind. Breath is one of the first things to be disrupted when a person becomes stressed or tense. Diaphragmatic breathing is an easy way to regain control over your nervous system. Just like the Lee Strasberg technique, diaphragmatic breathing begins by sitting down comfortably in a chair. Let your arms hang by your sides and close your eyes. Then start breathing extremely deeply, moving your diaphragm with each inhale and exhale. When you breathe in, concentrate on the oxygen travelling all the way into your lungs and then slowly and smoothly, expel the air. When you get used to the steady rhythm of this diaphragmatic breathing, you’ll be able to focus on your body and find which muscles are tight. Whatever you do, don’t forget the muscles in your face and neck, as this is where most tension is carried. Don’t wait until you’re feeling tense to try out this exercise, train yourself to do it several times a week until it becomes a habit. This way, you will feel the relaxing benefits on a long-term basis and ‘neutralising’ yourself in preparation for a role will become easier than ever. Mind-body opening uses small and simple movements to reprogram your body into flowing up and out rather than down and inwards. This subtle change releases the tension in your body and mind, helping you to feel more positive and ready to perform. In his 2014 book, Physical Expression on Stage and Screen, Bill Connington describes a mind-body opening technique. Start by standing up straight with your feet apart. As you slowly breathe in and out, concentrate on ‘thinking up and open’ through your torso, chest, and shoulders. Gently raise your arms, letting them float freely at your sides, focusing the entire time on opening up and out. As you do this, make sure that none of your muscles are tensed. Become as relaxed as possible and continue the exercise for as long as it takes you to feel refreshed and relaxed. The Sun Salutation is one of the most popular yoga poses. It is also a common relaxation technique used by many method actors. But don’t worry; you don’t have to be an expert yogi to pull it off. Everything about this move is connected to breathing, which is why many performers practice it regularly to clear their mind of any stress. Begin by standing up straight and breathing in through your nose and out through your mouth. Reach your arms upwards and slowly bend forward as you exhale. When you are leaning forwards with arms outstretched, stretch your right leg back until you are in a lunging position. As you hold this pose, stretch your arms downwards until your hands and feet are on the floor. Then, just as slowly as you did to start with, rise up again to a standing position with your arms above your head before gradually lowering them back down to your sides. This gentle exercise can be repeated as many times as you like. It’s well known all around the world that meditating is one of the best ways to relax. A brief meditation can be a great way to unwind either before or after a performance. Just like the Sun Salutation yoga pose, meditation might sound a bit off-putting at first, but you don’t have to be an expert or guru to be able to use it as a great relaxation technique. All you have to do is sit comfortably in a chair or on the floor with your legs crossed, close your eyes and breathe. During meditation, you should focus on the inward and outward motion of your breathing. The best way to do this is to picture something that moves in a similar style such as waves on the shore or a swing moving back and forth. Many actors use mantras while meditating to help their brains relax. A mantra can be just about anything you want it to be. You can choose a personal affirmation to help boost your confidence, such as the classic ‘OM’ sound that is most closely associated with meditation. You could also try counting. Whatever you choose, chant it in a rhythmic way to help time your breathing and keep your mind focused. Meditation can also be a great way of getting into the mind of your character and envisioning the world through their eyes. The Inner Health Studio has some great tips on meditation specifically for actors. Do you feel like nerves are holding back your ability to really let loose in auditions or performances? Maybe you have another weakness that you need to shake off? 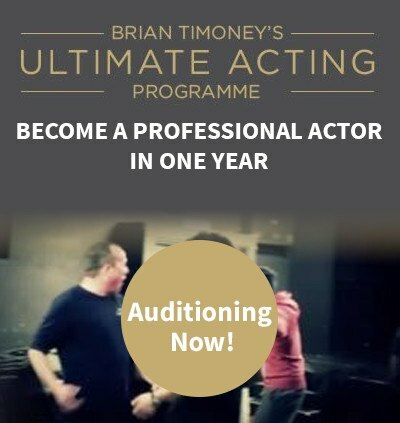 When you enroll on any of our courses you will learn everything you need to know not only improve your acting ability but crucially how to succeed within the business side of the acting industry. At both the three-day Method Acting Boot Camp and the year-long Ultimate Acting Programme we cover a range of relaxation techniques for method actors. To find out more about what our courses have to offer you and how we can help you kick-start your acting career, get in touch today.